Stress is fairly rampant in today's world. While it can be a good thing when we need to fight or flee for our lives, it can have adverse health impacts when it's chronic and doesn't let up. It can also negatively affect a person's behavior and relationships. Stress can have negative physical and mental on cats, and it can negatively affect their relationships with other pets and humans in the home. While they don't get upset about the same things we do, our cats can experience chronic stress, which isn't good for them. Too much competition for resources. This most often occurs in multi-cat households when cats feel like they must compete for food, water, clean litter box space, scratching post real estate, or time with their humans. Inadequate territory. If a cat doesn't feel like the master of a piece of territory, he might become stressed. This is usually the case when he doesn't have a good scratching post to mark, or there are other cats in the home that bully him out of spaces. Changes in the household, including the addition or removal of pets or people. Cats are sensitive to change, and it can stress them out. In fact, when people in the house are feeling stressed, the cats often exhibit signs that they're stressed, too, indicating that our emotions can rub off on them. Remodeling or other noisy events in the home. Most cats are not fond of loud noises, so remodeling projects, loud parties, and other noise can cause them stress. Veterinary, grooming, or kennel visits. Traveling in the car, being in an unknown space, and being handled by strangers can all work together to result in stress for some cats. Boredom. Cats that are bored and don't have an outlet for their energy, especially their predator instincts, can become stressed. Once medical causes for the behavior are ruled out, treatment of stress in cats relies partly on trying to determine its source. Below are some general ways to combat feline stress in your home. There are enough litter boxes that are all kept clean. A good rule of thumb is that you should have as many boxes as you have cats plus one. There should also be at least one box on every floor of your home to which your cats have access. There are enough food and water bowls. It's best to meal feed cats in a multi-cat household if possible, separating them each, so they have full access to their food allotment without having to defend it from others. Water fountains can also help. There are plenty of scratching posts in a variety of shapes and sizes. 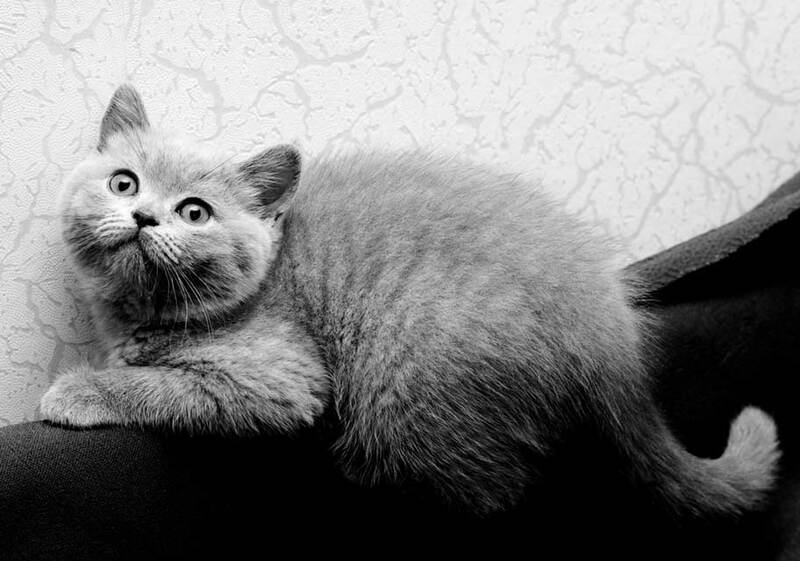 Some cats like to scratch vertically, some horizontally, and some like a variety. Be sure you have lots of sturdy scratching posts in all areas of your home in a variety of conformations so each cat can always find something to scratch on. There isn't too much noise and commotion. If there is remodeling going on or you are having a party, consider creating a "safe room" for your cat(s), filled with everything they need to stay happy and calm. Try to have this room in the quietest spot in your home, as far removed from the noise as possible. Each cat is getting adequate play and cuddle time. Do what you can to eliminate the stress of boredom for your cat by providing plenty of interactive playtime and enrichment activities like puzzle toys. You are using Feliway to keep all of your cats feeling peaceful. Feliway is a powerful calming tool for cats. Use diffusers and spray as needed to keep things feeling calm for the cats in your home. Music is soothing to people and pets alike. It's been shown that classical music relaxes cats, so playing it in your home can help calm things down. If you need to create a safe room as described above, playing classical music in it can help drown out noise, too. Some cats need anti-anxiety medicine to help them break the stress cycle. These medications do have potential side effects and must be carefully dosed. Your veterinarian can help you determine whether one is necessary for your cat and, if so, prescribe it. Never give your cat any medicine without your veterinarian's approval. These medications work best when used for a short period of time in conjunction with the modifications described above.